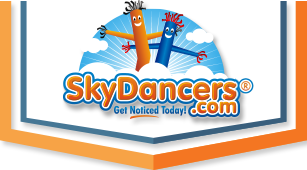 SkyDancers.com offers a unique yellow fresh hot coffee feather flag to help in portraying an image that is on top of this world. The flag is 12 ft in height and is printed on both the sides so as to make sure that a maximum amount of exposure is gained. Apart from this, the flag is made using only the highest quality materials possible which make it highly durable. It also happens to be resistant to wind, and its no wind design feature helps to ensure that the clarity and visibility of the flag is retained even in the conditions of little to no wind. With so many benefits, the flag definitely provides great value for money and is worth every penny you spend on it.